Carrie Ann Ryan, 9781943123834, 238pp. Dare Collins is a man who knows his whiskey and women--or at least that's what he tells himself. When his family decides to convert the apartments over his bar and tap house into an inn and hires on a new innkeeper, he's more than reluctant. Especially when he meets the new hire. But he'll soon find that he has no choice but to work with this city girl and accept her new ideas and the burning attraction between them. Kenzie Owens left her old life and an abusive relationship behind her--or so she thought. 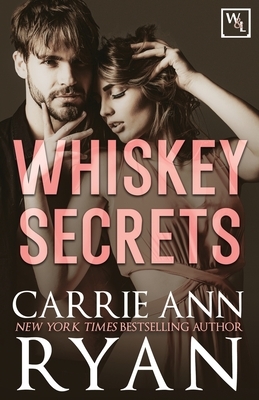 She figures she'll be safe in Whiskey, Pennsylvania but after one look at her new boss, Dare Collins, she might still be in danger, or at least her heart. And when her past catches up with her despite her attempts to avoid it, it's more than her heart on the line. This time, it might mean her life.